The summer school holidays are stretching on in a haze of heat, sunburn, bushfire warnings and crankiness at being told to drink more water and stay in the shade. And that means that it is time to think about pushing the little bodies back into uniforms and shoes to see if they still fit (because it is a well known fact that amazing feats of growth happen over the summer school holidays every year – especially if you have stocked up on their school uniform at the end of last year!) It is also time to think about what they need for going back to school. Which is the basis of the following list of tutorials. Each of these has been found on the blog of another crafter who has also been faced with the back to school dilemma, so I present simply a gathering of their ideas so that you can think about some projects to help the back to school process begin! While some schools require a uniform bag, complete with school logo, many still allow students to bring along a bag that reflects their individual personality. That is where the following patterns come in. With the amazing range of fabrics available the possibilities for individual fashion statements are endless! The Quilt as you go Improv Patchwork school bag by TeresaDownUnder provides lots of opportunities to personalise a bag for your student. There are so many bags that children need for back to school. Library bags are a definite need, especially in the junior school. (The librarian at our school is constantly pleading for parents to remember to pack books in bags to protect them!) They can be as fancy or as simple as you like. The 20 minute library bag by And Sew We Craft is a great place to start. The Library Bag Tutorial from Pam at Threading My way is along a similar vein – with lots of potential for using different fabrics to make a statement. 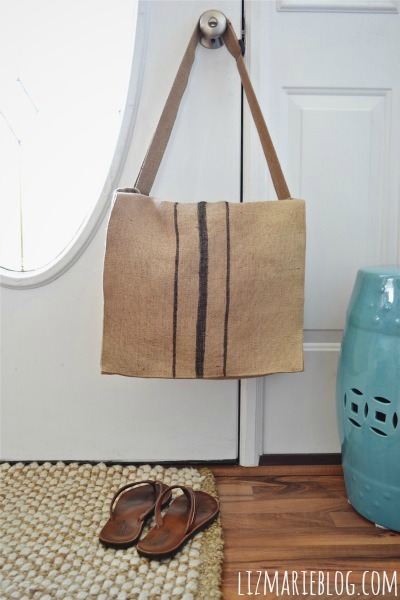 Another option is the Simple Library Bag Tutorial from Embracing Life’s Journey. Samelia’s mum provides a beautifully detailed tutorial to make a Library bag with name applique tutorial. While Sewing by Moonlight provides a different take again with her Nancy Drew Blog Hop Library Tote Tutorial. In addition to the various zippered pouches you will find listed here, the tutorials below might also assist in making a new pencil case for your school goer. At Crazy little projects you will find a zippered pencil case bag pattern – nice and straight forward! Of course, in addition to the books and pencils there are also nutritious lunches and snacks to be thinking about and if you are packing them in these lunchbags or snacks bags they are going to look good as well as tasting good! A Kids Lunch box pattern from Crazy Little Projects guest posting at Skip to my Lou is a good place to start. The Girl Inspired has a great tutorial for a re-usable snack bag. and Rugrat Design posting on Lazy Green Mama. And for the ultimate collection of patterns for lunch bags, over at fresh juniper she has collected 50 patterns together for lunch bags and totes with tutorials! If you have ideas to add to the list, please feel free to add them in the comments! This entry was posted in Lists of tutorials, Sewing and tagged back to school, DIY, free pattern, free tutorials, library bag, links, lists, pencil case, reusable snack bag, school bag DIY, Sewing, sewing ideas on January 17, 2014 by a little bird made me.